ABUNDANT OPPORTUNITIES TO THINK DEEPLY, ANALYTICALLY AND AUTONOMOUSLY ABOUT QUESTIONS FUNDAMENTAL TO THE PLACE OF THE PERSON IN THE NATURAL AND SOCIAL WORLD. HOME TO A DYNAMIC AND ENGAGED COMMUNITY OF STUDENTS IN DAILY INTERACTION WITH A FACULTY OF WORLD-RENOWNED PHILOSOPHERS. ONE OF THE NATION'S PREMIER CENTERS FOR ORIGINAL PHILOSOPHICAL RESEARCH. 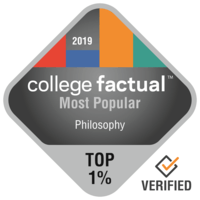 THE STUDY OF PHILOSOPHY IS CENTRAL TO THE MISSION OF EVERY GREAT UNIVERSITY.